What makes a 1949 dystopian novel so compelling sixty eight years later? One needs only to open the newspaper and stare with alarm at headlines proclaiming “ALTERNATE FACTS” or “FAKE NEWS” to find an answer. 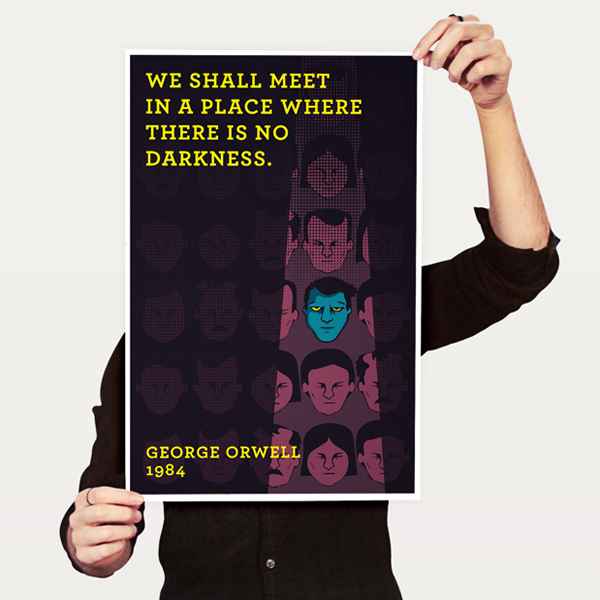 This limited-edition print celebrating George Orwell’s cautionary tale, 1984, has been crafted by the fine people over at Lucky Ember Design. Our art prints are printed on premium, archival paper that’s milled in the United States. The matte paper has a beautiful, slightly textured finish that showcases the high-density inks.